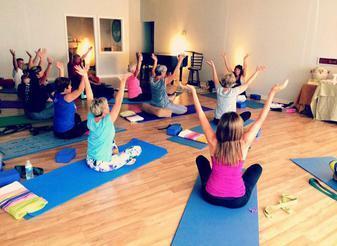 Are you new to yoga or interested in a refresher of alignment principles? Focus is on basic yoga postures and learning to develop the physical & mental connection with the breath. A your own pace, this class will help establish a firm foundation in standing poses, gentle back bending and core-strengthening postures. A light-hearted class that centers on God's Word and how He wants to love us! Gentle practice of passive poses using blankets, bolsters, pillows and blocks as props to allow deep relaxation within the body. Poses are sequenced together to leave you feeling renewed and restored. Leave class feeling like your are floating on air. 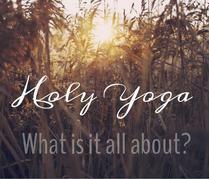 Come worship Jesus on your mat! Make your physical training a spiritual experience. Come breathe in Jesus! 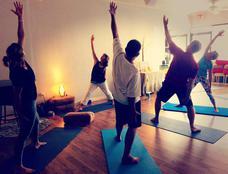 Enjoy classes to refresh and restore peace and health to the mind, body & spirit. than one class each week. Community Classes are suggested donation of $5 - $10. Class cards can also be used for these designated classes.